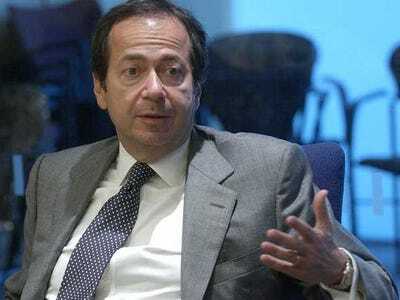 Billionaire John Paulson’s event-driven fund is in trouble after posting a 14 per cent loss in October, according to a Bloomberg report. The event fund makes up about 16 per cent of Paulson & Co, which is down 25 per cent this year, the report said. October was a particularly rough month for the man who called the subprime mortgage bubble in 2007. His shares in Fannie Mae and Freddie Mac dropped, and Shire PLC, in which he’s a major investor, did a nosedive after a potential merger with Abbvie Inc. collapsed. To be fair, last month was tough for a lot of investors. Bloomberg reported that hedge funds on average fell 0.3 per cent in October on lower oil prices, global growth worries, and PIMCO co-founder Bill Gross’ surprise resignation. But the bad times might not be over for Paulson. Last week, Genworth, another favourite of Paulson’s, dropped 36.1 per cent.